Weather conditions are hindering the search for a small, home-built plane that disappeared without a trace during a Friday afternoon flight from Edmonton, Alta., to Chilliwack, B.C. The Joint Rescue Coordination Centre based in Victoria, B.C was notified around 2 p.m. Friday that a small, privately-operated plane with two people on board was overdue. There has been no sign of the missing plane — a white Van's RV-6, a two-seater, single-engine aircraft. Officials noted the low ceiling in some areas of the remote, mountainous search zone is creating challenging conditions for pilots involved in the search. "As usual in the region, weather is a factor," said JRCC Spokesperson Lt. Tony Wright in an interview with CBC News on Sunday morning. "Today, we're experiencing some occasional low ceilings, low visibility and light rain in the southern portion of the search zone," Wright said. "And that weather is expected to deteriorate today." The search is focused on a 600-kilometre-long corridor along Highway 5 between Chilliwack and Valemount, B.C. Wright said crews completed an exhaustive search in the southern portion of the search area on Sunday, but weather conditions along that stretch of the corridor are expected to worsen throughout the day. "We're continuing the search along that corridor, but we're placing a focus today on the northern portion, between Clearwater and Valemount, and that is based on some cell tower and air traffic control information that we have," Wright said. "Weather today is a factor and that's pushing our search north as well. "Weather is always a factor but as long as we can safely fly and get aircraft in the air, we're going to keep searching." On Friday, A CC-130 Hercules fixed-wing search and rescue aircraft was dispatched and conducted an initial search based on the flight plan filed by the pilot and information gathered from air traffic control. A Cormorant helicopter later joined the search on Friday, but low cloud cover hampered the effort. Saturday morning, a CC-115 Buffalo aircraft took over from the Hercules, and a CH-149 helicopter from Comox also joined the effort. Another Cormorant helicopter joined the search Sunday morning. In addition to that, seven aircraft from the Civil Air Search and Rescue Association (CASARA) were deployed, Wright said. Military officials have declined to identify the missing pilot and passenger but Wright said the families have been receiving regular updates on the search. 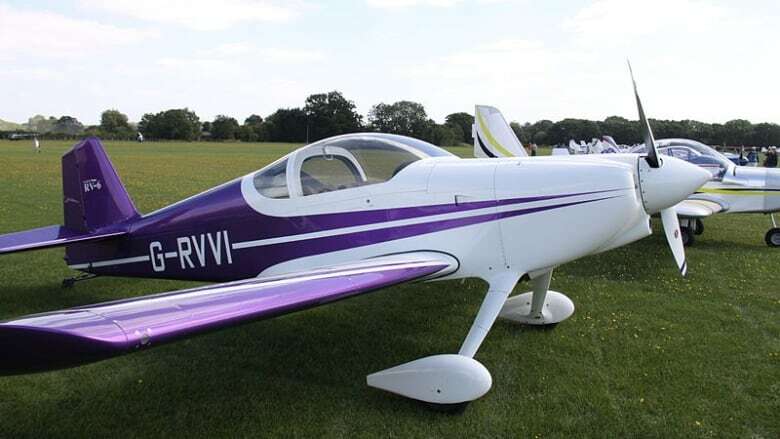 Van's RV-6 are a low-wing home-built airplane sold in kit form by Van's Aircraft. According to the U.S.-based manufacturer, the side-by-side plane has been on the market since 1986. The kit airplanes are about six metres long, with a wingspan of roughly seven metres. The planes have a maximum speed of 338 km/h, a cruise speed of 320 km/h and a fuel capacity of 38 U.S. gallons.